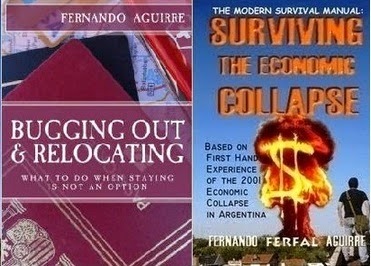 SURVIVING IN ARGENTINA: An Economic Collapse: What does it mean & what's it really like? Ferfal - another good video but I would disagree with you regarding the minimum wage. It is pretty much a consensus that minimum wages hurt more than help. Driving up labor costs will mean fewer people get hired. People focus on the hourly rate but not the people that didn't get hired because of it. In the US the minimum wage jobs are in many cases entry level jobs. Creating an environment that makes it easy to start a business or hire people will always be a better path. But that makes it more difficult to extract graft for politicians. Left wing politicians love to talk about increasing the minimum wage because they don't feel the pain but get all the credit. According to what you say an American economic collapse would look like, we have a lot of those symptoms already. To raise a child you either have to have a good middle-class income with two parents working constantly or higher or go on welfare. The middle-class is getting shredded at every turn. People are working harder for less money, being taxed higher and becoming incredibly discontented. The rich are moving into areas completely changing the structure of neighborhoods and though home owners may have no mortgage they are priced out of every day living such as food, clothes, gas, even medical help for their pets. So they have to move. But to where? A collapse conjures up ideas of an action that is quick, fast or all consuming. But could it be slower? 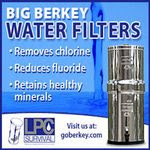 A slow, parasitic, crippling, dehydrating (we are out of water and the smell of chlorine increases every day. I hate showering because my skin feels horrible after I get out and due to asthma I find it hard to breathe)but back to what I was saying. Could it be something that moves more like molasses or a snake. This sounds crazy, but people are alive until they are dead, right? The death itself could be the "collapse". He collapsed on the floor due to a heart attack and when checked he was dead. I see the "economic collapse" as the last strangle-hold of an already all-consuming, poisoning (through water additives, air pollution, fake food)moral, physical and spiritual decay. We already have high theft, mal-nutrition, people on the streets for the first time in their lives, racial tensions and splintering groups fighting with one another. I live in the largest county in the U.S. and I can assure you the only reason why it does not look like a complete collapse is because the rich have moved in. But ask those that have to leave how it is working out for them? We have it GREAT compared to other countries. I NEVER forget that and express gratitude daily. I don't complain. I only grieve because I wrestle with the feelings of powerless and compassion v.s. numbing out and surviving. Our homeless population in our county increased these past couple of years and the numbers of people is larger than many suburban cities and towns. And it is only going to get worse. I realize I have said too much. I know that I am preaching to the choir and that you know more than me. I thank you for helping me be more attuned to what is going on around me. I KNOW people will be complete (insert expletive) because they already are. Our neighbor takes the air out of the tires of the motor homes. People cut you off while driving. People will smash your car and drive away. They are already "jerks" so I KNOW they will be monsters when hungry, feel threatened or opportunistic. But what to do? And that is the million dollar question for me. So thank ever so much for your insight, wisdom, experience (though painful) and willingness to take time to help others. Thank you.